I'm on my way to another ALA meeting so I'll just introduce LC briefly in this post. Two of these organizations are libraries and therefore collect a wide array of materials of interest to genealogist. LC may be the largest library in the world and contains all kinds of materials on any topic you can imagine and in any format you can think of. The purpose of LC is to provide members of Congress and their staff with all the information they might need to know on any topic. Sometimes a way to get information from LC is to send a research question to your member of Congress and hope that the member's staff will forward your inquiry to a subject specialist in the Congressional Reference Service of LC. I would recommend that you check LC's website even if you think you are somewhat familiar with LC. Something new is always being added. Lots of digital content of interest to genealogists is available online through the American Memory project. More is being added daily. Of course LC is is a library and you will want to do search the LC Catalogs. This process may not be as user friendly as you would like but your results should be worth your effort. The on screen directions should help you navigate. Visiting LC in person can be very rewarding but it is intimidating to a first time researcher. LC is an entire complex of three buildings--each of which is a square block in size. The buildings are connected by underground tunnels. Security is high as it is in most buildings in Washington. You may have to go through a metal detector and have your bags searched to enter but you won't have to take to take off your shoes as you do at the airport. You will have to register and get a picture ID that will serve as your library card. You also will have to register your laptop and camera and "un-register" them as you leave. This is partly for the security of your toys to make sure the person who tries to remove them from the building is the one who brought them in. There are always interesting displays for tour groups. You will probably want to go to the Local History and Genealogy Reading Room which has a very helpful website. LC is a closed stack library which means you have to fill out call slips and request the materials you want. It can take up to an hour for the materials to be retrieved for you. The reading room has a small but interesting collection of back runs of genealogy journals you can peruse as you wait for your materials to arrive. You can even go to one of the staff cafeterias to refuel your body without leaving the premises. I would be happy to try to answer any questions if you post them as a comment through the link immediately below. Earlier this week I spent two days in Delaware researching my ancestors who came to New Sweden in the 17th Century. Most of my time was at the Delaware Public Archives in Dover. As you are probably aware there is a difference between an archive and a library. An archive primarily contains the official records that are created by an organization as a by product of its doing business. A library is primarily a collection of documents that were created elsewhere but were collected to meet the needs of a particular clientèle. Of course there are some entities that blur the line or actually function as both. Another difference is that since archives contain the original copy of a document, often only pencils (not ball point pens) are allowed in the work areas where documents are viewed. At the Archives I was able to get copies of the wills and other probate documents for several of my ancestors. The Archives were lightly used, at least on the days I was there, and the staff had time to be very helpful. I was given an orientation when I first arrived that saved me a lot of time later. I didn't retain everything I was told but I remembered enough to go back to the staff members later and ask for some specific details to be repeated. Most research at this Archive is conducted by viewing microfilm. There were many film viewing stations and three or four reader/printers to make copies. One of the reader/printers was connected to a computer that allowed the film image to be scanned and stored on a flash drive. I prefer this method of saving copies of documents. I can print the document later if I choose. I can also magnify it on my computer screen to make it easier to decipher. After the Archives closed at 4:15 I decided to take a 50 mile drive into Wilmington to see what the Public Library there might have. The library has a Delaware Room but the librarian on duty told me my time might be better spent a few blocks away at the Delaware Historical Society Library. Fortunately for me I was there on the one night of the week that the library was open until 9:00 PM. This library clearly had more published books of interest to those researching Delaware ancestors than any other I visited. So if you have ancestors who lived in the Delaware area, I recommend you visit the Archives and the Historical Society Library. There are some real treasures here in this fast growing list. I'm on Cape Cod this weekend for the Wing family reunion. This house was the home of Stephen Wing--the brother of my ancestor Daniel Wing. Daniel is my 10th great-grandfather and he came to Plymouth Colony with mother and other family members in 1632. This house was added to the National Register of Historic Places in 1976. There is some debate as to why it was called "Fort House", but there is a consensus that it was originally fortified in some way. An archeologist spoke to us last night after dinner who has considerable experience at Jamestown and supervised a small excavation here in 2006. He has used the results of that dig to request a grant to do further work to try to determine what fortifications--if any--were originally around the house for protection from Indian attack. More information on this house can be found at the link above. 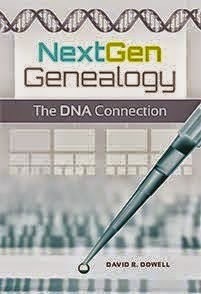 Ancestry.com has announced it is acquiring Genline. Genline's English language version of its press release on this transaction is also available. This acquisition combined with other recent moves such as Ancestry's announce that it "will be adding the Gothenburg, Sweden, Passenger Lists, 1869 -1950 collection, which contains more than 1.2 million Swedish records" should be good news for those with Swedish roots. Genline has a fine and growing collection of Swedish parish records. These can be viewed through a good quality image browser but an overall index has not been available. One needs to know exactly what parish and year an event took place to locate the documenting record. I hope Ancestry will soon create such an index and not sacrifice the quality of the images now available. As most of you are aware, listservs exist on almost any possible subject. Genealogy is no exception. Whether you are searching a locality or a surname, chances are good that there is a listserv devoted to it. Some are much more active than others. For those of you who have no experience with such lists, this is how they work. First you find a list of interest and subscribe. Then an email comes to your inbox when someone posts to that list. Usually, only subscribers are allowed to post. There are both moderated and unmoderated lists. On an unmoderated list, posts are distributed to all subscribers when they are sent -- much like an email. On a moderated list, posts are delayed until the moderator OKs them. If you are interested in subscribing to a list for people who share your research interests, one place to look is RootsWeb.org. Some surname lists are more active than others so the amount of posts you will receive varies greatly from one list to another. If you would rather not have new posts delivered to your email box and/or want to see what previously has been posted on such lists, you can search the archives and find out what has been posted over the last ten years.